Our home cooking recipe for Chinese Rice Tofu, in which the soft tofu is simply seasoned by red and green chillies. simple, healthy and tasty. Cooking video coming soon. 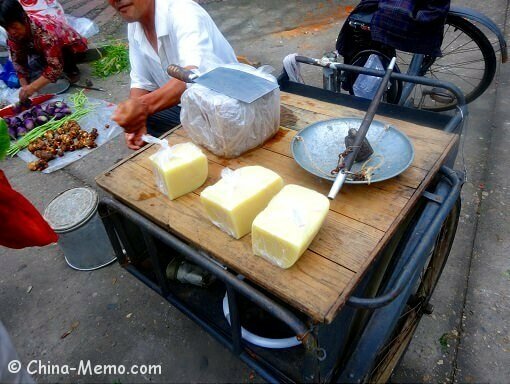 Tofu is a very common food in Chinese daily eating. We have different types of tofu, from the firm tofu to soft ones, from the plain tasted to well seasoned tofu snacks. 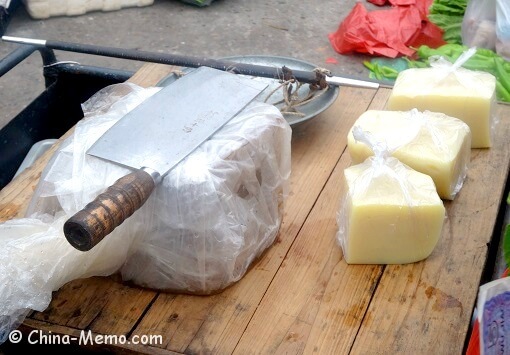 You can find more details in two posts: types of tofu (1) and types of tofu (2). 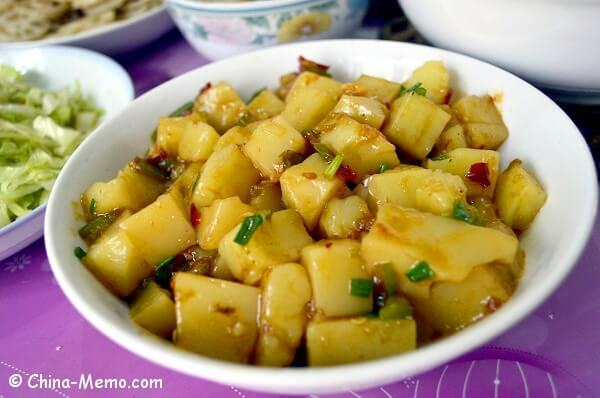 The well-known tofu dish to most people outside China perhaps is the Mapo Tofu. 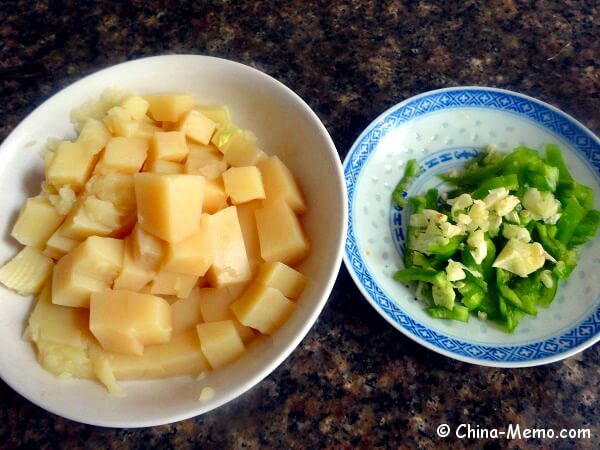 I also have posted our family 's recipe for a light version Mapo Tofu. Another tofu dish we had is Cumin Tofu. Both recipe pages include the cooking videos, you can have a look if interested. I haven't mentioned this rice tofu so far. 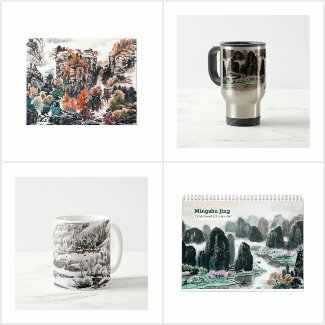 It is common in the southern China, (I am not sure about the north part). Comparing to normal type of tofu, the rice tofu is bit soft. 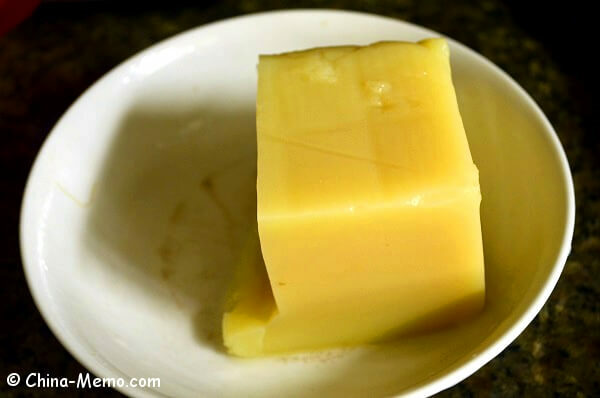 The color of rice tofu is slightly yellowish, semi transparent. In terms of texture, bit like jelly but firmer. 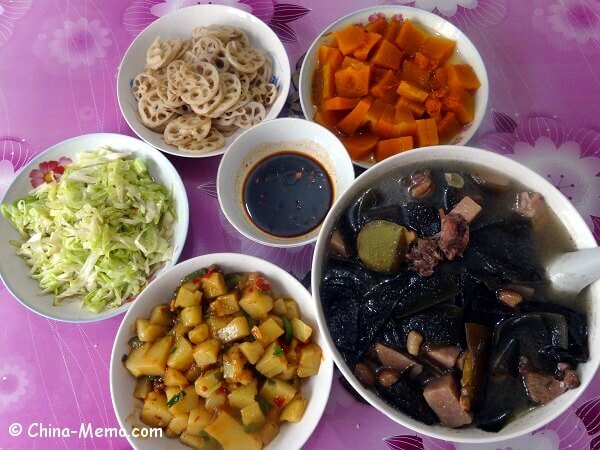 Our family lunch, rice tofu, steamed pumpkin, lotus root, sea belt & ribs soup. We can buy the rice tofu from the local food market. 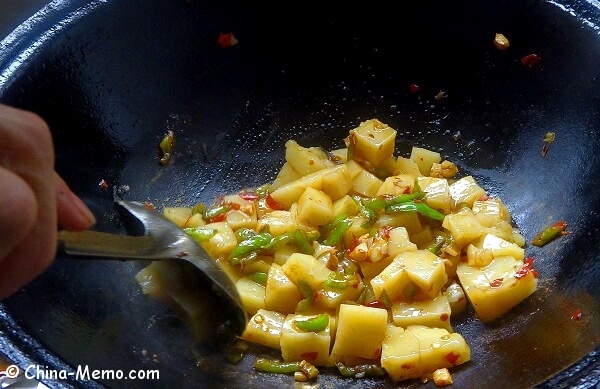 Because it is softer than normal type of firm tofu, you cannot do too much like stir frying. So basically, we cook the chilies with other ingredients, seasonings first, then add the rice tofu to mix well. • To prepare the ingredients. 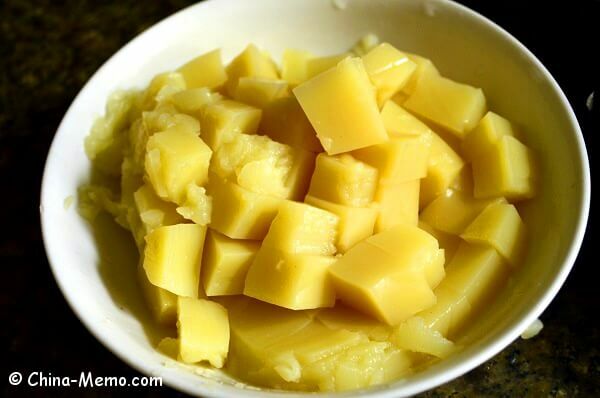 Cut the rice tofu into small cubes. 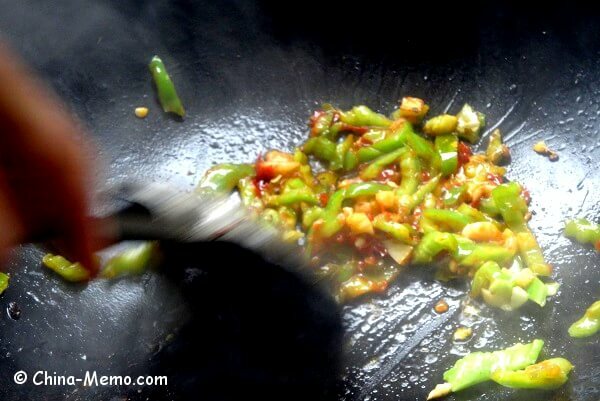 • Heat up the wok and add oil, wait till high heat. 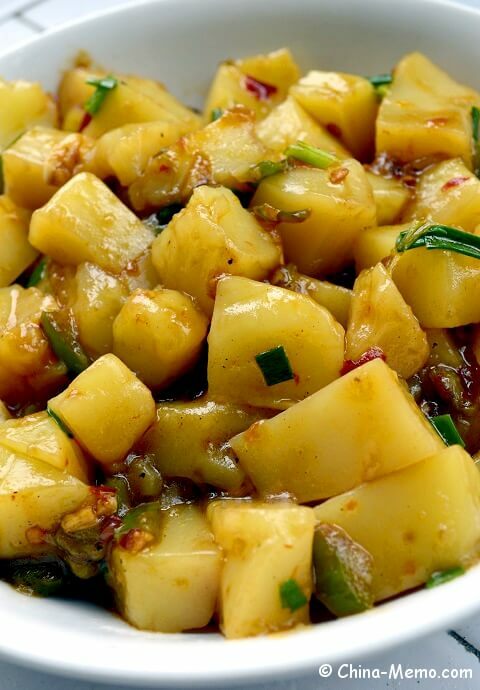 • Add the chopped green chilies and garlic for a quick stir fry. Then add a teaspoon Chinese pickled (already chopped) red chilies to mix. The pickled red chili adds another flavour to the dish. • Mix all seasonings, add some light soy sauce if needed. Add the rice tofu and mix with the seasonings. 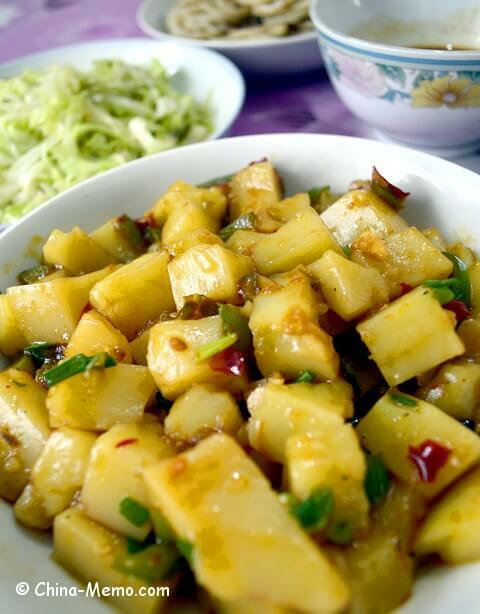 Because the rice tofu is soft, carefully stir the tofu to mix. If under high heat (such as using gas cooker), cook for about 3-4 minutes should be enough. • Before finishing, add spring onions for a quick mix. Transfer the tofu to a plate, serve hot. Hope you like our family version Chinese Rice Tofu recipe, if so, please like or share with friends on Facebook and Twitter. Thanks. I made a cooking video for this dish so you can watch it here. 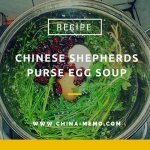 You can subscribe to my Youtube Channel to get the regular update for more Chinese home cooking videos. 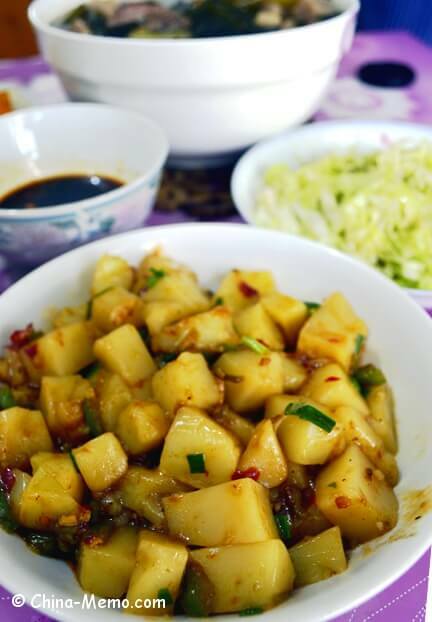 You may also like my other tofu recipe Chinese Tofu with minced meat, Chinese steamed tofu or other Chinese vegetable recipes.